Today will be a long day of taking down Halloween decorations and cleaning up all of the pieces of candy wrappers and costumes that are strewn all over the house. Halloween on a Monday is just not a good idea. 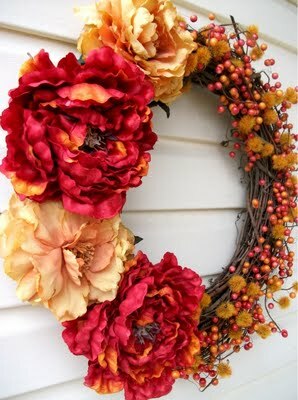 But I am trying to get myself motivated for Fall and Thanksgiving and what better way to start than with beautiful Fall wreath ideas. 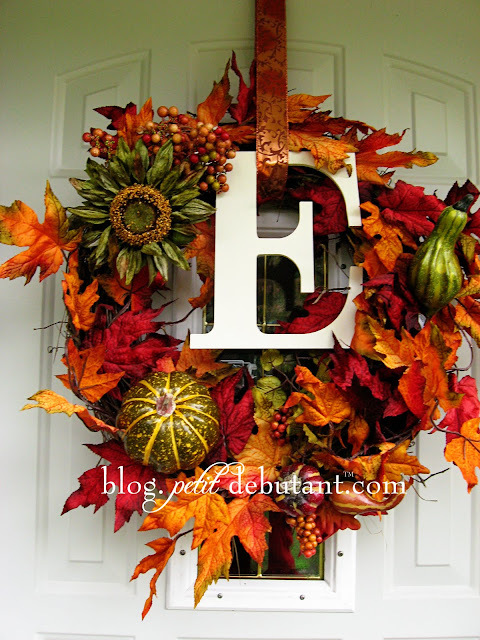 Petit Design Co created this beautiful DIY Fall wreath from odds and ends she picked up at Hobby Lobby and she walks you thorough how she did it. 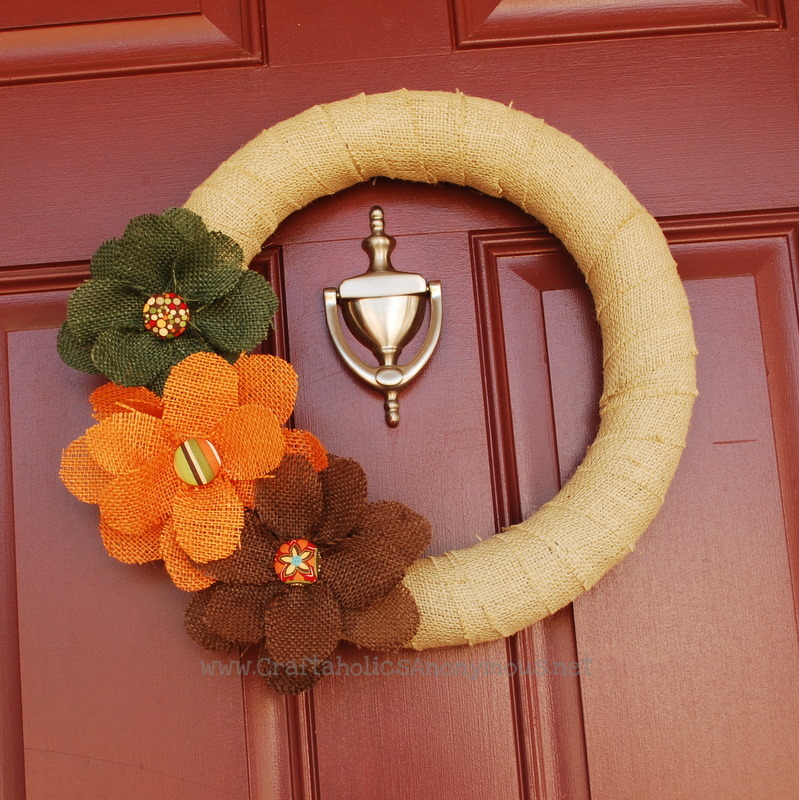 Craftaholics Anonymous created this fun burlap fall wreath using different colors of burlap to create these fun flowers. If you are a fan of flowers, Miss Lovie has a great Fall floral wreath tutorial. And why should flowers and leaves have all of the fun? 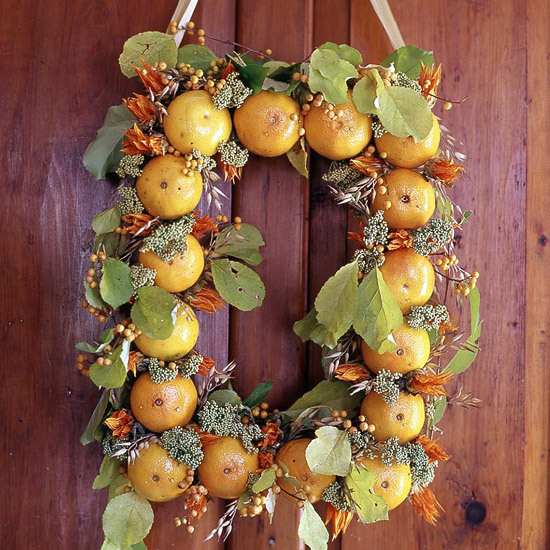 BHG has tutorials for natural Fall wreaths using everything from nuts and corn to apples and oranges. The initial wreath is beautiful! !